Summary: “The cat walked through the world, with its whiskers, ears, and paws…” So begins this study in perception and point of view. The refrain is repeated throughout the book, always followed by, “and a child saw the cat,” or “and a dog saw the cat,” and so on, with the illustrations showing how that particular creature sees the cat. To a child, the cat is friendly and furry, with big round eyes. To the mouse, it’s a fearsome monster with pointy claws and teeth, surrounded by red. The fish sees a blurry cat through the water, and the flea is surrounded by a world of cat fur. Finally, the cat comes to some water, looks in, and the reader is asked, “and imagine what it saw?” 44 pages; ages 3-8. 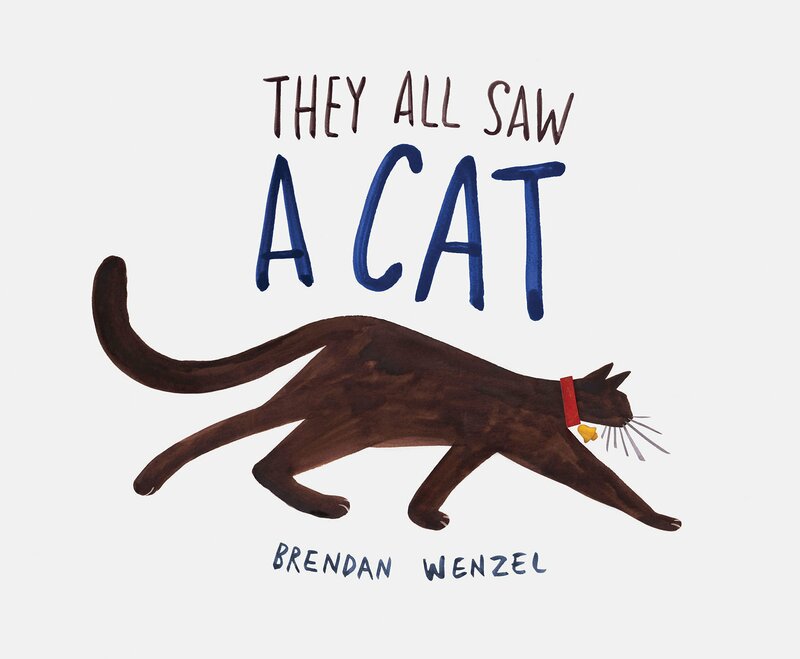 Pros: Even the youngest readers will enjoy the cat in its various incarnations, and older readers will get to think about questions about observation and perception. Cons: This is more of a thinking exercise than a real story. I am such a HUGE fan of Brendan Wenzel’s work, and have been eagerly anticipating this book. Thanks for sharing, Janet :).